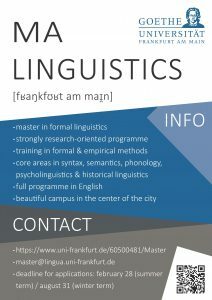 MA Linguistics in Frankfurt a.M. 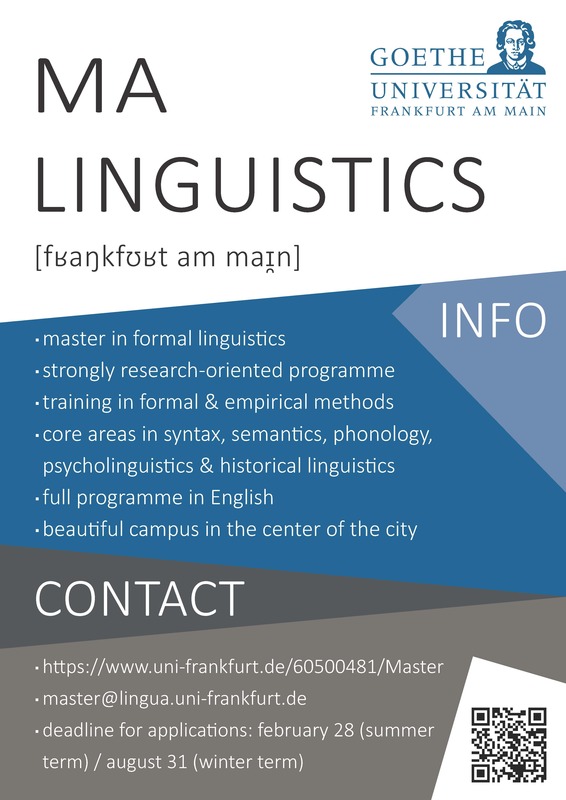 The Institute of Linguistics of Goethe University Frankfurt invites applications to its MA program. 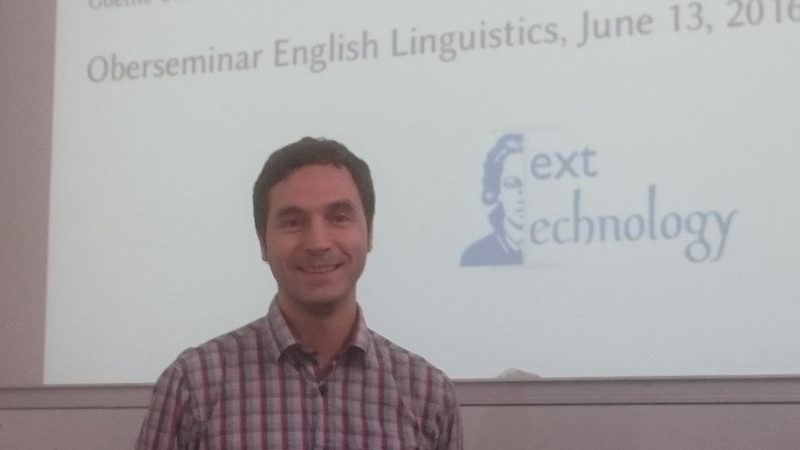 Dianne Jonas gave a talk with Verner Egerland (Lund) at the Budapest-Potsdam-Lund Linguistics Colloquium in Budapest, June 16&17. The title of their presentation is Just think about it already!. In their talk, they looked at uses of already as a modal particle in English and Swedish. Budapest-Potsdam-Lund Linguistics Colloquium, Budapest, June 16&17. in the Oberseminar English Linguistics, Monday, June 13, 4-6pm, room IG 3.201.